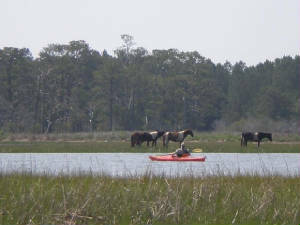 Snug Harbor is the closest rental operation to the Assateague refuge and the wild Chincoteague ponies. Kayak Tours last about 1-1.5hrs. It's the perfect amount of time, not too long to get tired but plenty long enough to see the beauty of Chincoteague and Assateague Island. You can choose either a single or double kayak at the rate of $49 per person. Normally we take off twice a day at 8am and 5pm. Those are the best times to see the wild ponies during the season. So come on down to Snug Harbor and get a taste of nature on Chincoteague. 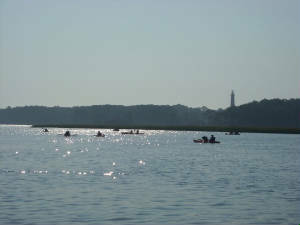 If you would like to reserve a kayak for 2, 3 days and enjoy the sunsets and sunrises on the water you can keep the kayak overnight for only $15/overnight fee. 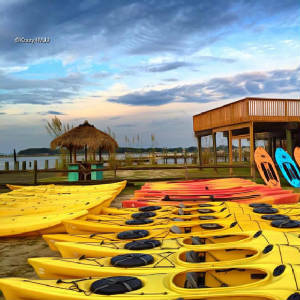 Kayaks Pick up/ Drop off Service-For special requests we also provide drop off and pick up service, so if you want us to drop off your kayak at your front door at your vacation home on Chincoteague island just let us know and we will take care of it for you ( $39). If you are on Chincoteague Island or Assateague Island, Snug Harbor is the closest rental operation to the refuge and the wild Chincoteague ponies.